Beautiful souls, we invite you to join us for a very special retreat to cleanse and replenish the light within as we transition into a new year cycle. This is an invitation to cleanse and renew yourself within a magical ancient landscape, infused with spiritual practice, held within a sacred container of love and wisdom. 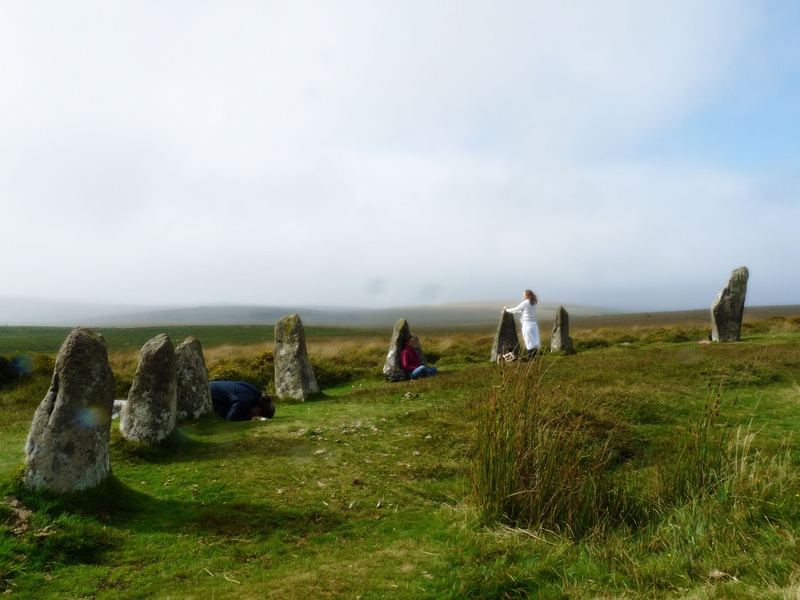 We will be delving into some gentle yet profound healing journeys imbued with ancient wisdom, nature connection, Dartmoors mystical landspaces and stone circles, celestial transmissions, sound healing, breathwork, meditation and yoga. 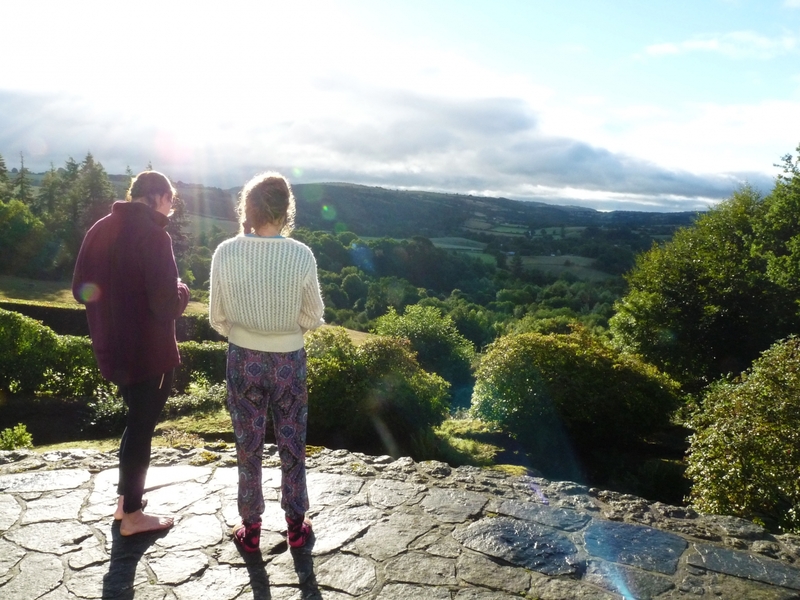 The focus of this retreat will be “stillness and renewal” – a time to turn inwards within the depths of winter, to cleanse and love our bodies with a juice fast, to reconnect and re-align; to attune in resonance as beautiful cells within the living body of our Mother Earth. This is a unique, intensive, deep and transformational retreat, a time to journey within, to cleanse with a juice fast, realign and awaken a deeper connection with your Origins, and the sacredness of Creation. There is also an option of a gourmet salad lunch for those who are wishing for a gentler cleanse. 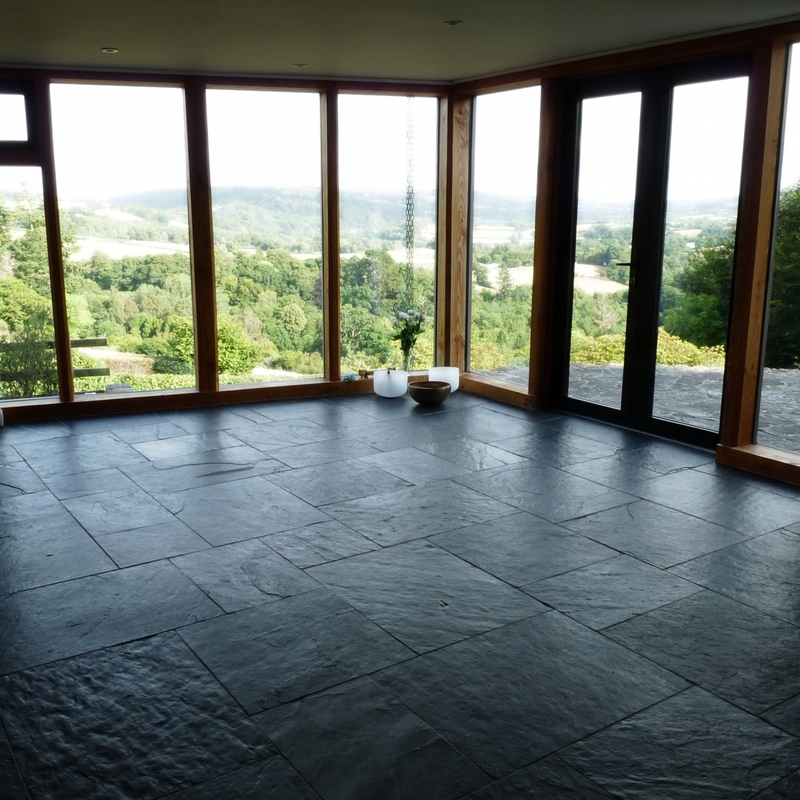 The retreat is held within a nurturing space in a beautiful manor house on Dartmoor National Park; surrounded by forest, ancient rock, vast, mystical landscapes and ancient sacred sites. 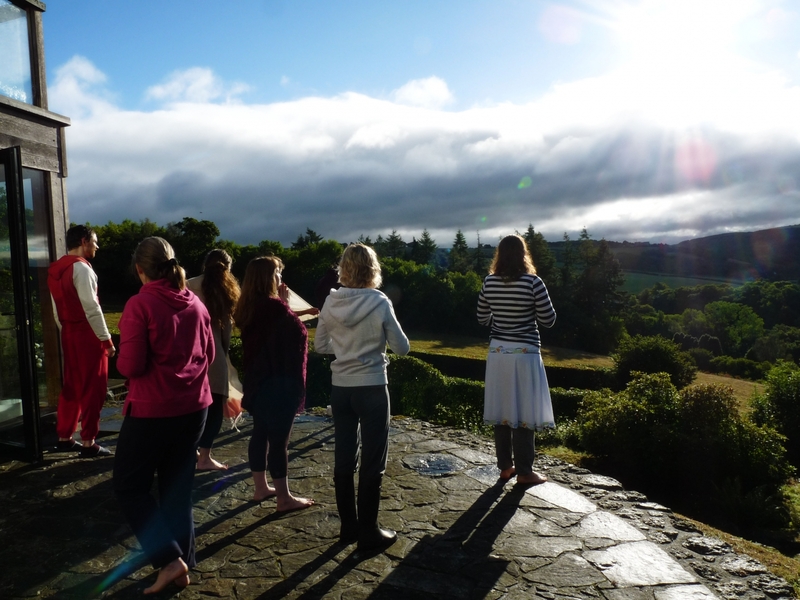 The retreat days are woven with a blend of practices, classes, sharing, rest and nourishment. Throughout the week the group will journey through the spiral of life, exploring the initiatory passages that we move through in life, as also seen in nature, the seasons and cycles and the energetic centers within our bodies. There will be an exploration into the nature of the soul, awakening the sacred witness, stillness, the remembrance of Mother Earth as a living being, and our sacred place within Creation. We will be picking up the threads of wisdom that have been left by our ancestors, and reflecting on the footprints that we each wish to leave behind us. Practices will be shared to help calm and release, as we enter into stillness and presence – awakening the light of the soul. It is seen that in order to bring change and transformation to our world, that all healing must begin within, with self. 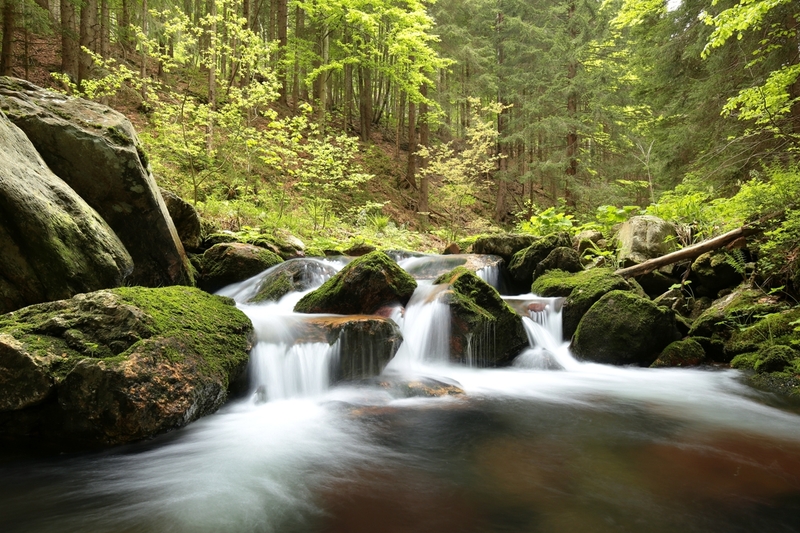 The retreat offers a space to cleanse and quieten body and mind, so that one may begin to listen to the clear voice within and again come to flow with the streams of wisdom that are the original essence of the natural world. 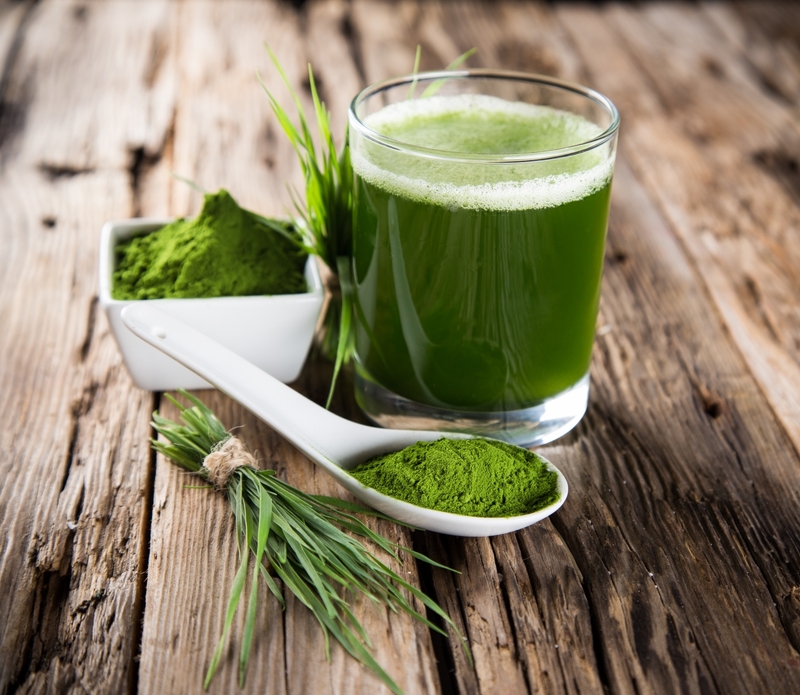 During the retreat we will be fasting/cleansing with fresh vegetable juices, vegetable broths and herbal drinks throughout the day, with optional extra detox programs for cleansing the liver and gallbladder or kidneys and adrenals. There is also an option of a gourmet salad lunch for those who are wishing for a gentler cleanse. 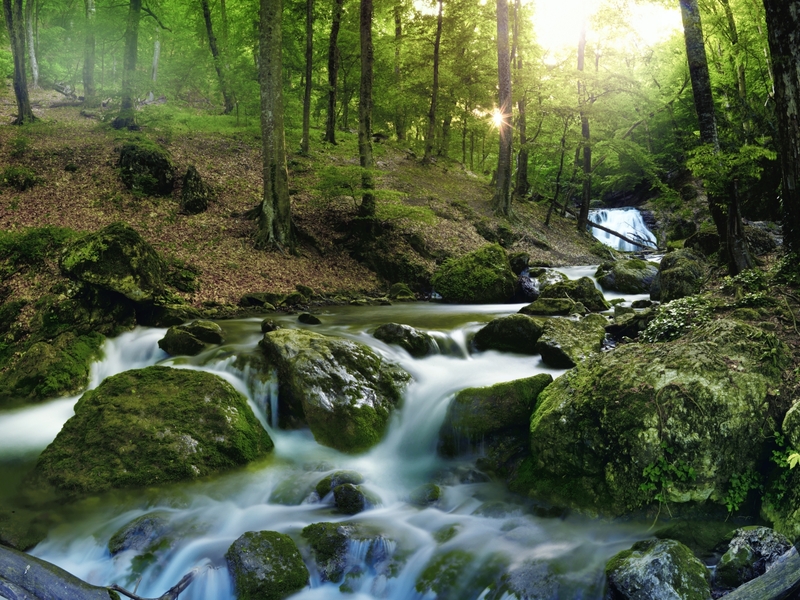 In this modern world, many of us have become fragmented and disconnected from what once was inherent – our original, sacred essence and relationship with the Earth as the Mother from which all life is born. In the fast paced world of technology and materialism, our attention has become distracted and diverted away from the purity and light that has its home within all of life. There is restlessness that manifests in the soul when it is un-nurtured, and when we are not living in our true purpose and authenticity, in sacred relationship with life. This can be seen now all over the world – both individually and collectively – as one is a mirror of the other. We are a part of this Earth and we are all connected. We have as humanity, collectively co-created our world, and if we see the world as a mirror, we come to recognise that there is much work for us each to do to restore the beauty and purity of life. Our retreats are spaces created for you to step out of everyday life, to quieten the mind, cleanse and renew the body, so that it is easier to enter into deeper inquiries and internal processes. You will learn practices and tools to help you identify and move beyond disharmonious patterns and tendencies, reflect on ways that you may have created or energise negativity in your life, and experience ways of living that elevate your mind, open your heart, and create a vibratory field of resonance from within. The retreat includes a session of yoga in the mornings, meditation and internal practices in the evenings, a detoxification and cleansing program of fresh juices and smoothies; sacred journeys, time in Nature; periods in silence, inner reflection and contemplation; talks on diet and healing; group sharing circles; personal support. It is the intent that each day, you will deepen in your practice and internal awareness, learning to listen, feel and connect with the light within, and the living light of the Earth. Yoga is a path of the heart, that leads us into Being. Daniela shares her practice of yoga, weaving aspects of Hatha, Scaravelli, Kundalini, Kriya and Tibetan traditions. Her yoga teaching also draws upon many years of working with energetic practices and the healing arts and spending time in silent retreat in Nature. This approach to yoga is a journey of unfolding, through turning your attention inwards. Through this deep and reflective practice, your natural sensitivity and self awareness awakens, clearing toxicity and tension, freeing energy and space from inside, outwards. Yoga activates the body’s own intelligence and innate healing abilities, encouraging the natural unfolding of healthy posture, a fluid, supple body, expansion of breath, and the opening of the heart to touch the soul and reconnect with our Essence. The practice will include working with breath (life-force), asana (postures), kriyas (sequences), pranayama (breath work), meditation (stillness) and sacred reciprocity (harmony). The retreat is open to experienced practitioners, as well as those with little experience or prior interest in yoga, as all practices are adjustable to meet all abilities. Yoga is not about what you can or can’t ‘do’.. but about meeting yourself as you are. 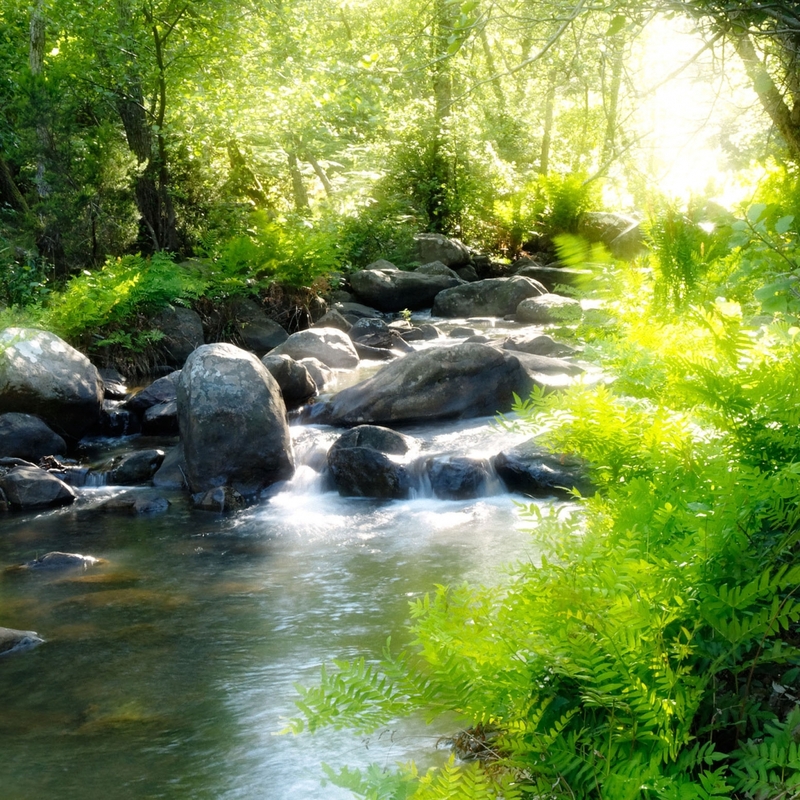 Our retreats are intended as a space for inner healing and sacred re-connection. To support this, we request that participants come with an open heart and mind, refrian from judgement and respect other peoples quiet space. The retreats are a joyful, warm hearted space where we laugh, share, inspire one another, and there will also be times when we will sit or walk in silence. This practice of times of inner and outer silence allows for deeper connection, as we practice mindfulness and allow ourselves to be present, quiet and to deeply listen. In the world today we are faced with the challenge of living clean and pure on a planet that has become toxic in many ways . Yet as the destruction and shadow becomes more visible in the world, many of us are awakening and feel called to return to ways of living that are in harmony with nature, and with what creates and sustains health. Our wisdom keepers tell us that all toxicity begins in thought, word and action, and that it is through the incongruity of our actions with the laws of nature that we have created the toxicity in all its manifestations in the world. A build up of toxicity in the body can lead to oversensitivity to certain foods, weight gain, sluggishness, inflammation, pain, infections, ailments, disease, menstrual issues, loss of vitality and sense of wellbeing, foggy mind, low energy, and many other things. Our bodies have the natural capacity to cleanse and heal themselves, though when overloaded or lacking vital nourishment, can become stagnated and toxins build up in the system. The experiences of our life are all stored within our luminous energy body and our cells. During a detoxification process, as the physical body begins to purify and heal itself, layers of toxicity that have been stored within the muscles, tissues, bones and cells are brought to the surface to be cleared. Detoxification can help you to naturally release tension, stress, negative emotions and thoughts; creating clarity of mind and inspiration to walk forwards in your life. Everything in the universe is made of vibration, and vibrant, organic foods, Nature, creativity, prayer, purity of thought, beautiful music – for example – all help to lift and sustain our vibration in a state of health and resonance. As you detox your system and bring in pure foods, living water, light, purity and prana (life force energy), your vibration is lifted and you will begin to resonate at clearer, more refined frequencies, allowing more light to flow through you and be held within your cells. Detoxification helps the body to heal itself as nature intended; cleansing and repairing your beautiful body, helping to restore health, a sense of wellness and the true natural radiance of your inner being. This retreat is a liquid fast of fresh smoothies, vegetable juices, vegetable broth and healing teas. Option of a gourmet salad lunch for those who are wishing for a gentler cleanse. All ingredients are organic, local grown where possible, vegan and gluten free. You will be guided and supported during this cleanse, and with any processes or detox symptoms you may experience. 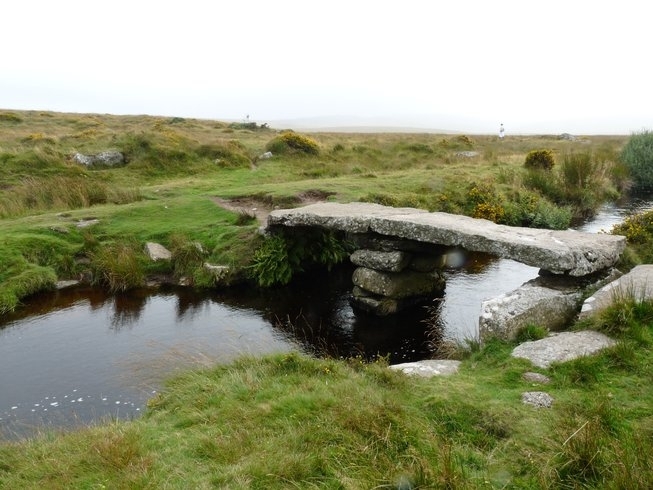 The venue is a large country house on Dartmoor National Park in Devon. 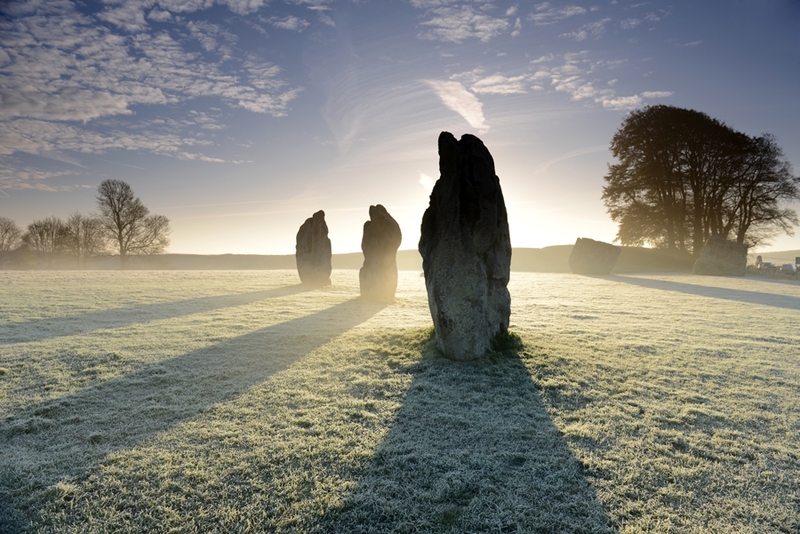 Approached down ¼ mile of private drive, it’s set in 18 acres of large, beautiful gardens with lawns, rockeries, ancient woodland and a prehistoric stone circle. It is very peaceful, private with sweeping views across the River Teign valley and the moors beyond. 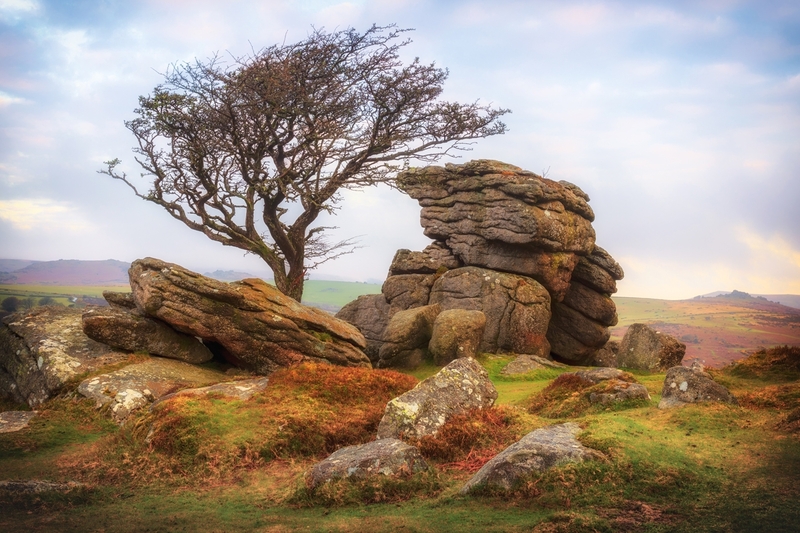 Situated in the south west of England, right in the very heart of Devon, Dartmoor is a landscape of stunning views, awe inspiring granite tors, deep wooded valleys with fast flowing rivers, and rugged, wide open spaces, covering 368 sq miles. The house is set on the edge of the National Park and has been renovated and lovingly refurbished, whilst retaining a homely, relaxed atmosphere. 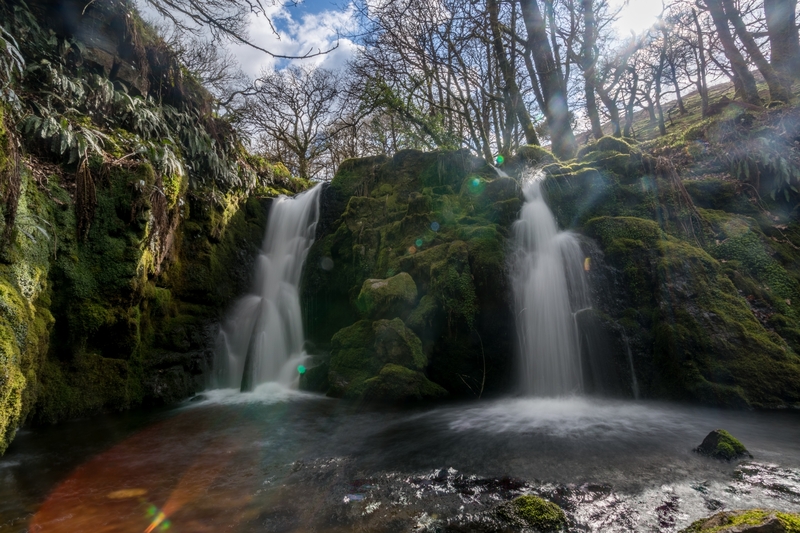 It is set within its own grounds and surrounded by woodland, rivers and waterfalls. Accommodation is in twin or double rooms. The retreat begins at 6pm on Saturday 29th Dec and completes at 12pm on Friday 4th Jan 2019. 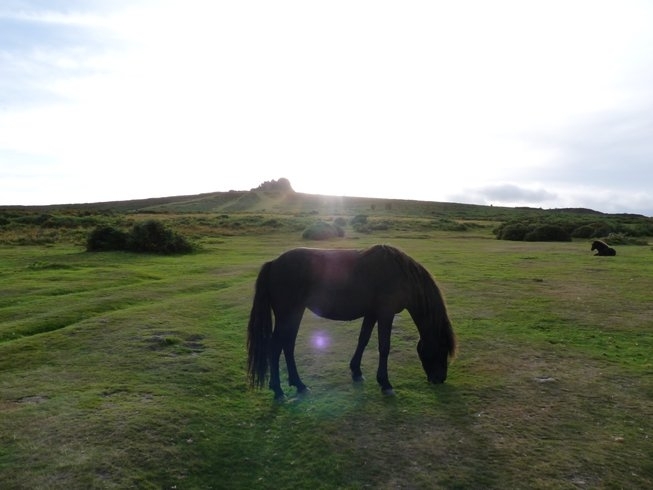 The house is situated on the edge of Datrmoor National park, and is 20 mins from Exeter. The nearest village is Chagford. For timetables, use the Traveline South West website. 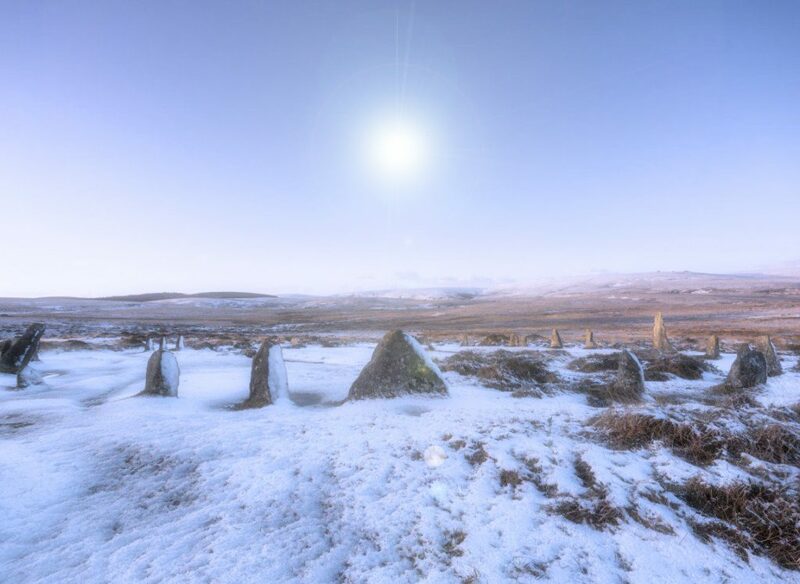 Search using location (Chagford) to get the latest information. This is a small group retreat (max 10 participants), and as spaces are limited it is advised to get in touch soon. Daniela Lanaia is a healing arts practitioner, yoga teacher and musician. She is the co-founder of the Sacred Living Earth Trust and is known for her sound healing and music work with Anima. From a young age she has been immersed on a journey into ancient wisdom, healing paths and the yoga tradition; and offers a sensitive, profound and unique space dedicated to the awakening of the heart and loving stewardship of our living Earth. She lives in the Scottish Highlands and offers one-to-one sessions, workshops, concerts and retreats in the UK and internationally. What has been your favourite part of the retreat and why? “It is almost impossible to separate a ‘favorite part’ as the beauty of the retreat was its weave into an integrated whole; the magnificent land that held us; the deep gentle physical work with our bodies; the cleansing nourishment; the reflections within our circle of women; the prayer and remembering of the sacredness of life. “I finally understand the correlation between a healthy, clean body and a clear spiritual life. My connection with the Great Mother is much stronger since the retreat. I practise the Great Thanks meditation throughout the day. The brightness surrounding me has diminished, but I can access the light more readily. The retreat reignited my love of yoga. I have become more flexible, stronger and quieter with daily practice, which is helped by fewer toxins in my body. I don’t go a day without yoga now. My diet remains light and focused on fresh fruit and vegetables and more or less wheat and dairy free. I like the way I feel and I want to stay elevated. I have set myself higher standards in so many ways. More and more often I stop myself from thinking badly about someone or gossiping. I recognise when I want to eat out of boredom, stress or because I’m thirsty. I recognise when I’m being lazy instead of tired. What have been some new learnings you have gained from this retreat? “I was looking for a retreat that would shift and move things for me, energetically and spiritually as well as one that would take me away from the tug of daily commitments and life. I wanted to retreat from my normal life and have some space to learn. During the week I had a profound experience of dropping into my heart. This is Daniela’s gift – she held the space most eloquently. I felt that Daniela held the Space throughout the week in Yoga, throughout meals, during walks and circle with a gentle and profound dedication that allowed me and others to open up to a new possibility of living. One that is connected to nature and to our own hearts. She also offered us teachings in Shamanism that felt accessible and “do-able”. Mid-retreat I was shown an aspect of myself that is darker and needs much practice to fully disengage from. This was a shocking and ultimately illuminating experience. 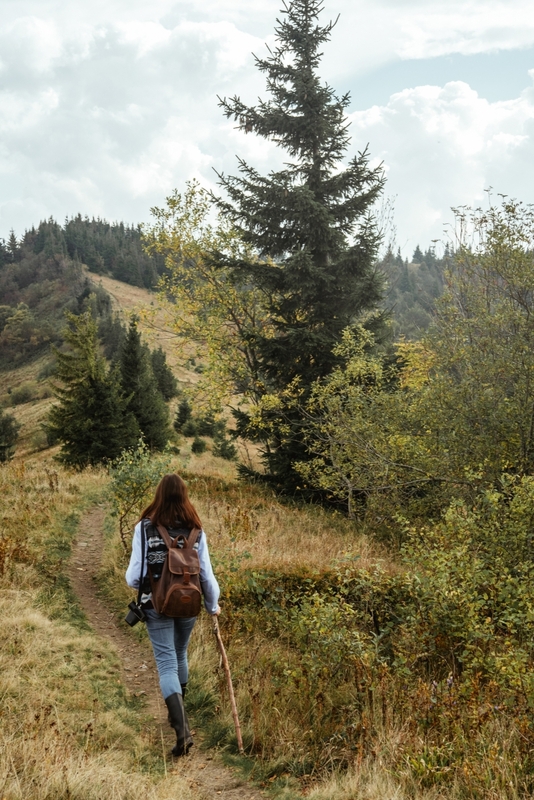 Returning home I have continued with my gratitude practice and feel a deeper connection to Nature, enjoying my walks in the woods with my Dog in a deeper, happier Way. I have become softer with myself and my family. I have continued to have morning smoothie and mostly Vegetarian (not strict) and no grains. It feels great – i’m lighter and need less sleep. I have embraced some of the Yoga Practices and incorporated them into my Practice and Teaching. “I love yoga but don’t practice often, so it was rewarding to feel my body and mind opening as the days progressed. It taught me how to breathe through tension, how to release into the practice and how to focus my mind on the present while doing so. It was a wonderful reminder of how to meditate. I loved your guidance through the poses, your explanations of how fresh blood was flowing through the muscles and I did achieve a meditative state in one particular session which hasn’t happened in ages! “As part of the experience I came to realise what I connected to the most, and that was the yoga, meditation and any discussions we had about nutrition and mental outlook. You’re one of the best yoga teachers I have ever had and it’s usually when I felt the most connected to you and the group. I am as a person interested in spiritual practices and feel I have retained a deeper sense of spirituality and appreciation for Nature on the back of my experience, just need to carve out my own means of practicing it. 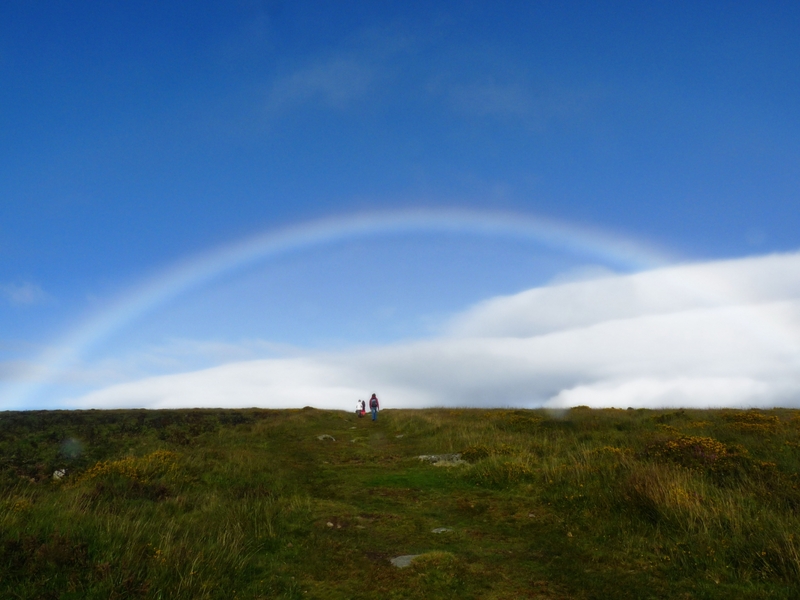 “I arrived at ‘Replenishing the soul’ retreat at a very difficult time of my life – I had just completed a year of breast cancer treatment; then my partner left me. I felt rather emotionally broken and was in desperate need of a reflective sanctuary. As Daniella opened the door to a beautiful cottage in Dartmoor I was greeted by her immediate warmth. I went into what I would later refer to as the ‘womb room’ to find a group of women lying on yoga mats, wrapped in blankets, by candle light with soothing Amina music playing – then Daniela led us in meditation. My tears began to fall in that room as I felt myself begin to be held by the nurturing calm I had been craving. The sharing circles with the other women, each who were exploring the juncture of their lives that had brought them there, were deeply transformative for me. I feel so privileged to have been able to share my story there which helped me reflect on unhelpful ingrained patterns of behaviour. Daniella’s unflinching gaze saw into each of us and reflected back what we needed to see inside ourselves through our discussions. The writing tasks exploring what was causing disharmony in our lives were also very powerful. The detox food was delicious consisting of a smoothie for breakfast, soup & salad for lunch, then a juice for dinner which left me feeling cleansed and filled with nutrition. Sharing meals together felt very uniting. Doing yoga every morning felt like I was infusing life back into my body that had gone through so many medical procedures that year. As a beginner in yoga I was led and helped by Daniela who was sensitive and gentle in her teaching. The exercise took me into my body, away from my repetitive thoughts which was very much needed. 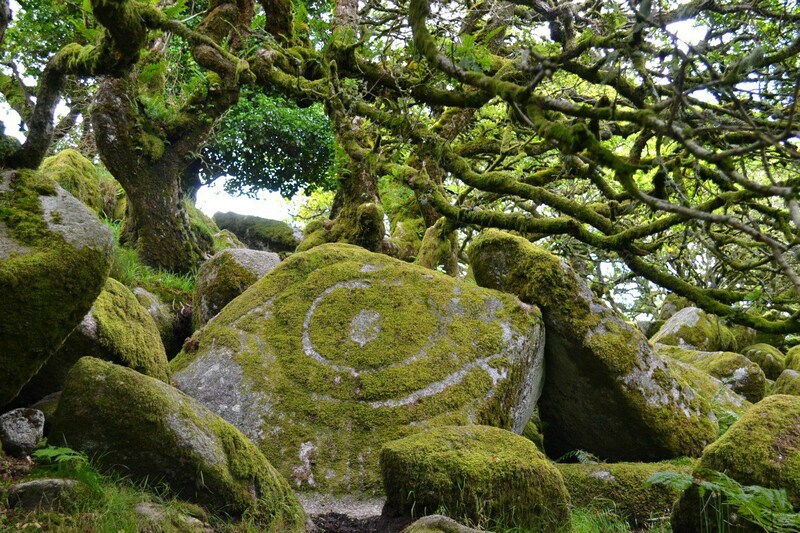 The walks through Dartmoor, especially the silent ‘medicine walk’ where we saw the stone circles enabled a deep connection with nature. 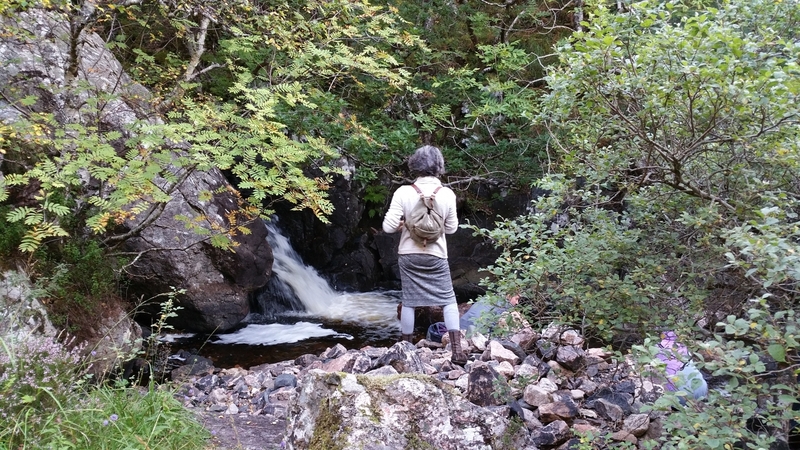 Daniella taught me to see nature in a new way which felt deeply healing and grounding. I feel connection still to the women and that time at the retreat when I look up at the sun. “I cannot thank you enough for yet another rewarding, thought-proving weekend. Your wisdom and knowledge challenges and guides in a way that gives me an opportunity to get back in touch with my inner self. “I must say the retreat has changed my life. I have been practicing yoga every day since the Easter retreat. It is like a new-born mind. The weekend was really amazing! Your yoga techniques are very good and how you teach and correct positions for us were very helpful and useful. But what I was most inspired from you was the spiritual aspect. I kept thinking who I am and what I would want to achieve in my life during the weekend. I have very busy life style so I didn’t really think about it so instead I was just working and working like a machine for money. Good Morning, I’m very interested in the new year retreat, could you get back to me if this is still available and how payment is done.